An extraordinary oddity among hobby computers in the 1970's, the Phideck system from The Digital Group was a computer controlled data drive, nearly identical in function to the familiar old tape drives used with main-frame computers of yesteryear. Although several microcomputers of the time could start or stop an associated cassette tape, DG systems actually controlled every aspect of the drive in the same way as mainframes of the day controlled large tape drives, or in similar fashion to how your PC might control a disk drive--no intervention on your part is needed to save or load a file other than to request the file by name. This meant that a DG user had up to a megabyte of online storage available from a single Phideck controller, using 30 min. data cassettes. This was unheard of capacity even for disk drives of the time, albeit considerably slower than a disk, the access time to any file was advertised to be less than 20 seconds. Not bad for a tape system, eh? Well, that was the theory, anyway. Reality was a little different. 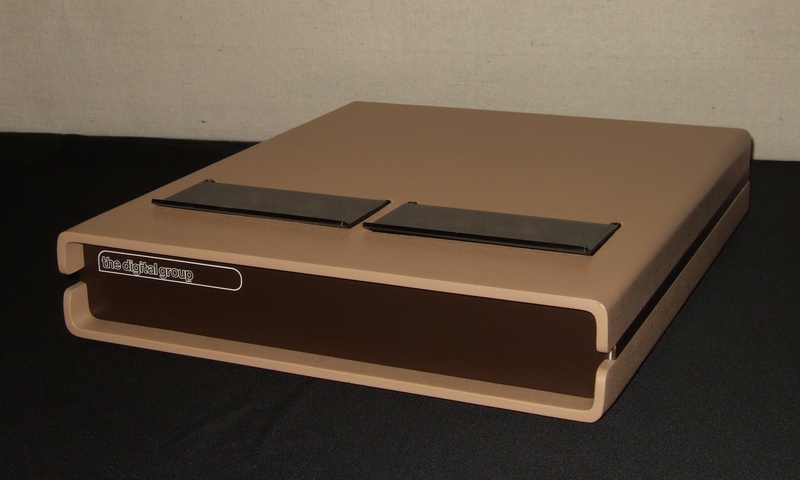 The Phideck had a few design shortcomings that made using it a little less than trouble free--It was possible to make the system work, but it was difficult for the average hobbyist to get it running. ANY noise was fatal to the operation of the system, and noise in a DG computer was a given. This meant that owners were constantly chasing problems. So what gives? Why the trouble? 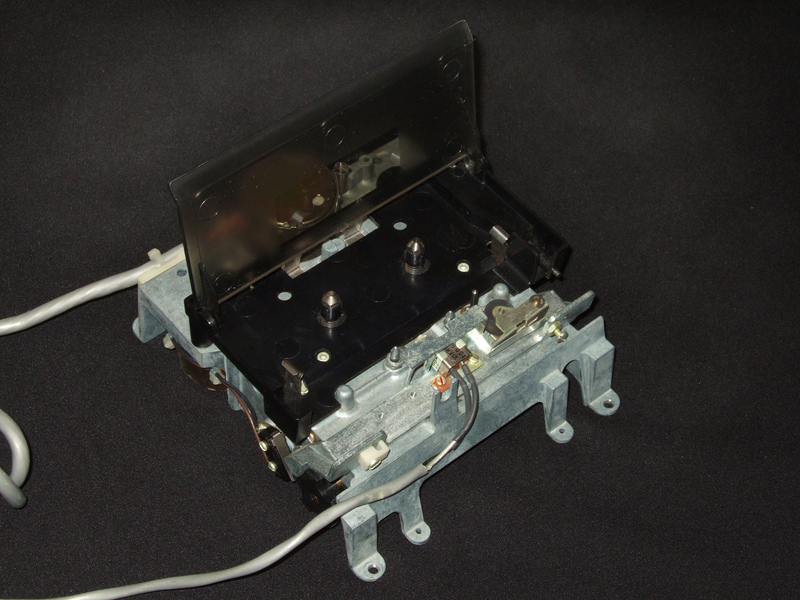 Well, for one thing, the signals to and from the data cassette drives were unbuffered at the drive--these signals were expected to travel through the interconnecting cables between cabinets without any signal amplification at all! (For those of you not acquainted with electronics, this is akin to trying to hear a quiet conversation in a noisy restaurant from across the room.) This was only one of the problems. All manner of solutions were proposed for all sorts of envisioned culprits, but in the end, the most effective solution was to buy a disk drive! When DG first released the Phideck system, it was supplied with the DG operating system, and a 'Demo' program that one could use to write a block of data to the drive, read that block back again, and various routines to operate the drive--driver routines, basically. There was no real operating system to speak of, until David Bryant wrote Phimon a little later that year. 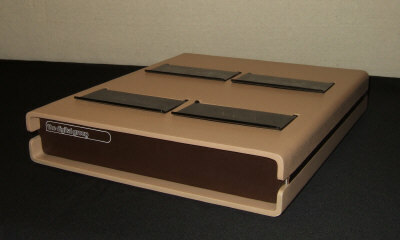 Released in early 1977, Phimon was a tape operating system that worked like a typical disk operating system. With Phimon, you could Load, Save, Run, view a Directory, Rename, Delete, Zero (a format utility), a few other commands, or request Help from the operating system. There were a few other commands that allowed users to write programs and to even modify the operating system to create new commands. A marvel of computing power at the time, for a microprocessor. It was very well received. Phimon was pretty good, but Jamie Shrider of Microworks wanted more. In 1978 Microworks released the Phimon Upgrade Program (PUP-1) that corrected a few bugs in the original code, and added some new commands and features. Most notably, adding true 64 character per line video and replacing the debugging tool with a program called 'Stepper 1.0', a far more advanced debugging program that added many new capabilities for programming and debugging software. Anyone who was anyone upgraded to the new PUP, creating 'Phimon 2'. Phimon and Phimon 2 made owning a computer really fun!! See my Documentation and Software pages for the downloadables. I have several of the interface cards and a few of the cabinets with drives and even a couple spare drives that I have collected over the years. 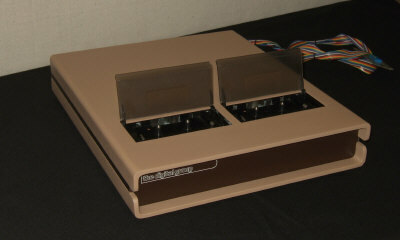 At this time, I have only one system that I am actively working on, the dual deck system shown in these photos. I did my standard restoration on this with the cabinet and electronics. (If you don't know what I mean by that, check a few of my other pages! :) The Phideck cabinets in these photos were all in good condition, so mostly just a good cleaning was needed with some minor paint touch-ups. The Phidecks themselves, needed some deeper cleaning and replacement of all the belts. I tracked down a local electronics place with a small supply of belts, and bought out their entire stock. It was just enough for the decks I have on hand. Last time I checked, you could still order belts on the internet from a few places, but get 'em while you can! Somehow, I suspect they may be harder to find as time moves on. The pinch rollers were all in good shape, but in need of some rubber restorer. I use MG Chemicals 'Rubber Renue', found at the local Fry's Electronics or at CircuitSpecialists.com. This stuff revitalizes the rubber and makes it swell a little. Whatever you do, don't use it on the belts, or you'll need to buy new belts!